Alaska has joined Colorado and Washington in legalizing recreational marijuana, and the District of Columbia will follow suit on Thursday this week. The new laws allow adults over 21 to consume small quantities of home-grown pot in private, though sales remain illegal. Ballot initiatives legalizing personal marijuana consumption were approved by voters in Alaska, Oregon, and Washington, DC last November. Alaska’s law went into effect on Tuesday, while Oregon’s Measure 91 is scheduled to take effect in July this year. Initiative 71 legalizing the private consumption of marijuana in DC will take effect later this week on Thursday, according to a statement released by Mayor Muriel Bowser [PDF]. According to the announcement by Mayor Bowser, adults aged 21 and older will be able to lawfully possess up to two ounces of marijuana and use it on private property. They will also be allowed to transfer up to one ounce of marijuana to another person, “as long as no money, goods or services are exchanged and the recipient is 21 years of age or older,” and grow upwards of six plants a piece. "D.C. residents spoke loud and clear" on Initiative 71, says @MayorBowser. Pot legalization becomes law on Thursday at 12:01 a.m.
Alaska law makes it legal to possess, consume, or share up to one ounce of marijuana with adults over the age of 21. 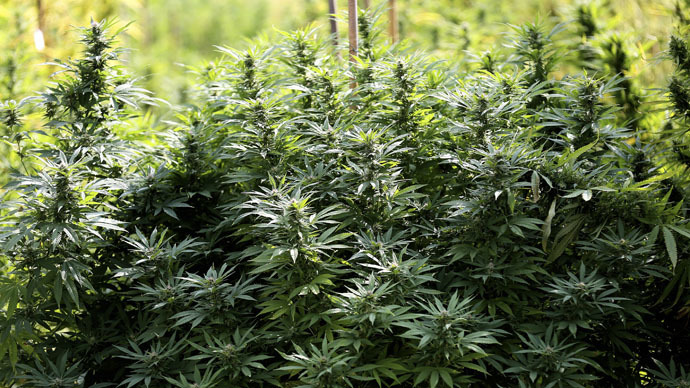 Growing marijuana is also legal, but limited to a maximum of six plants. Buying, selling and even bartering marijuana remains against the law, however. The state is still working out regulations for marijuana retailers, with stores expected to be licensed and operational by next year. Republican members of Congress have tried to prevent the District from putting the ballot initiative into practice. However, the White House cleared the path to marijuana legalization by specifying that no “federal” funds could be used to implement Initiative 71, allowing the District to use its own revenue instead. The legalization of marijuana in Alaska has worried some Native communities, which are already dealing with high rates of substance abuse. However, legalization activists have cited the disproportionate amount of black Americans imprisoned for marijuana possession as reason enough for limited decriminalization of pot.